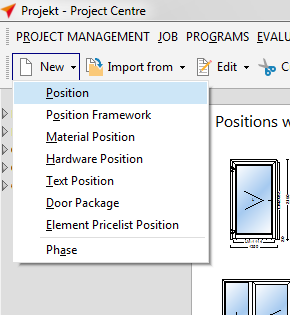 Click the “New” button on the toolbar iof the project centre to create a new position. 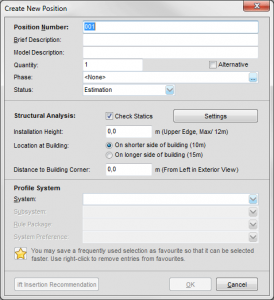 Here you determine the position’s profile system and applied rule packages as well as the subsystem which narrows down the profile selection. You can also save a frequently used selection as a favourite which will make your selection. Glazing bead variants and gasket variants are determined by the “Position Properties” function during Input of Elements and can be pre-set in system preferences. If you need to assign different VAT rates to different articles, LogiKal makes this easy for you, too. When you create a new position, you can select different VAT rates. This requires that more than one VAT rate was previously created in your „User Database“ > „Estimations“ > „VAT Rates“. 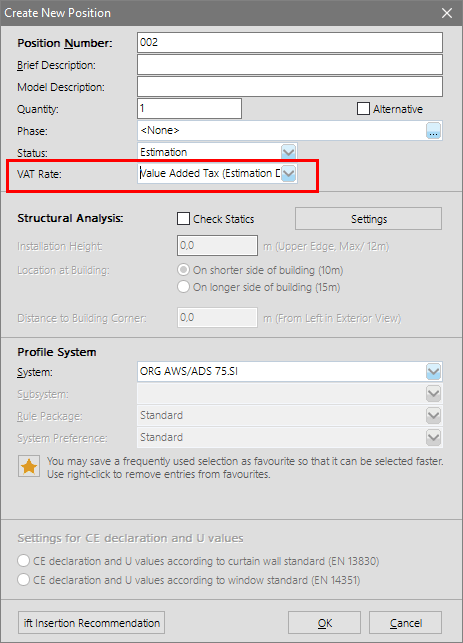 The legislator allows different estimation methods for the CE declaration and the estimation of U-values of smaller curtain wall elements. 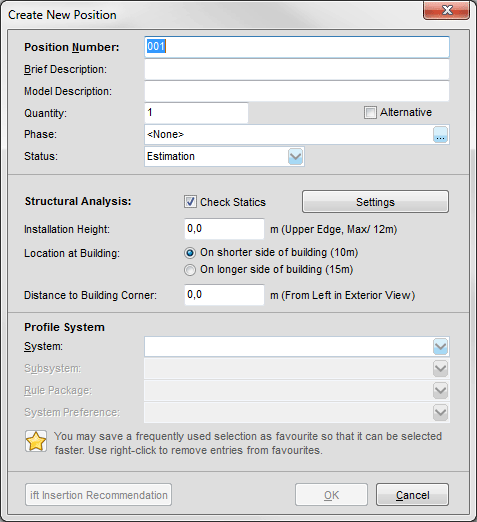 With LogiKal you can perform these estimations based on the product standard for curtain wall or the product standard for window elements. 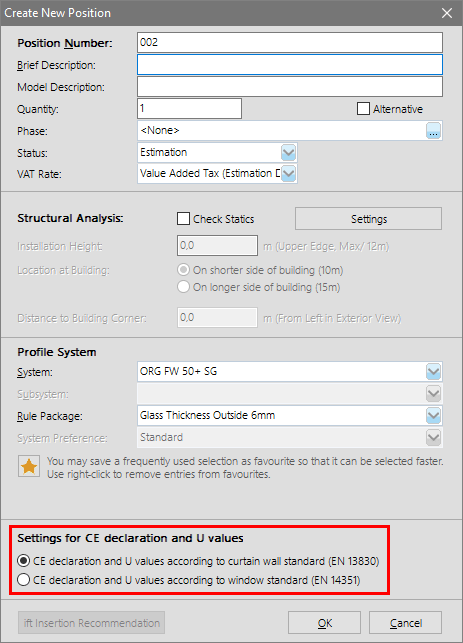 A new selection function for CE declaration and U-values is available. In the program window “Create New Position” you can select under „Settings for CE declarations and U values“ on which base the CE declaration and the U-values shall be estimated.